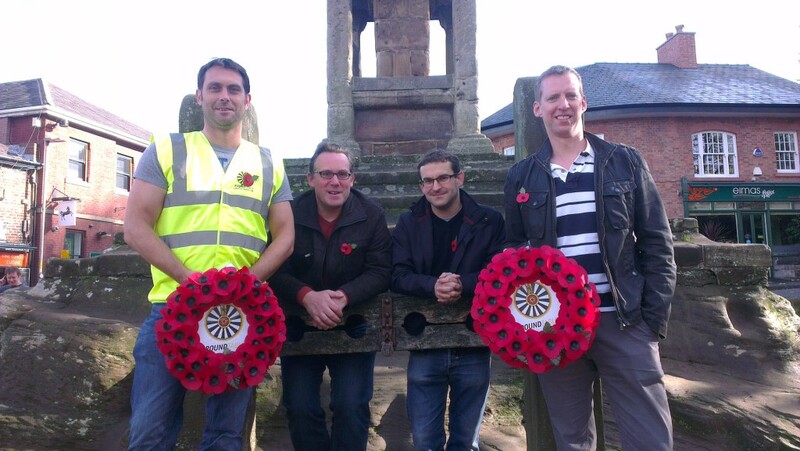 Lymm and District Round Table marked this year’s Remembrance Sunday by laying two wreaths at the Lymm and Oughtrington War Memorials. Vice-Chair Graham Gowland (45) who served with 168 Pioneer Regt, RLC said: ‘Especially in the years of the Centenary of WW1, we wanted to mark the sacrifice of all those who have fought over the years to keep us safe’. Matt Stevenson (34) who served with 4th Armoured Brigade commented: ‘Marking those that served before is important to me, and I always attend a remembrance parade, work permitting’. Rob Spurr (26) who served with 150 Transport Regt (V) RLC added: ‘We are always looking for more servicemen to join the Round Table, and the camaraderie of Table reflects that which you find in the Services’. Earlier this year Lymm and District Round Table commemorated the outbreak of WW1 by distributing hundreds of packs of Poppy seeds locally.